Stuck for present and stocking filler ideas? We can help you with gifts for the cyclist in your life, anything from a secret Santa set of tyre levers and a puncture repair kit to a new bike. 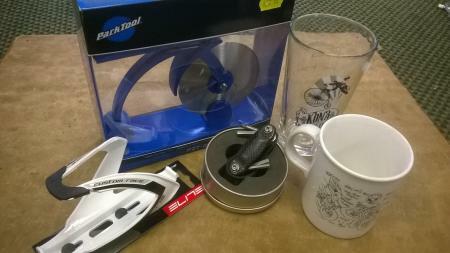 If you're after a little something bike related for Christmas, we've got Pizza cutters, beer glasses, brew mugs and all manner of shiny widgets to make riding time better. Christmas is fast approaching, why not pop in to fill your stocking? And if you really really can't decide what they'd like, we can do you a gift voucher too.